John's Paint & Body | No matter what carries your family, John's will make it safe. Thank you for choosing John’s in Lexington, McLean County’s most capable and trusted body shop since 1972. From small passenger vehicles to school buses, RVs and semi trucks. 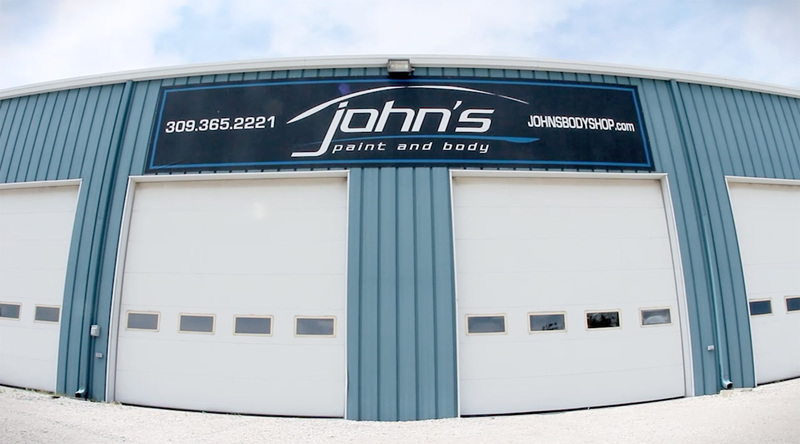 John’s provides repairs, maintenance and custom paint jobs. John’s Paint and Body takes stress, uncertainty and long waits out of the equation. When you bring your vehicle to John’s, our professional technicians will treat it with care, and repair promptly to get you back on the road in no time. Bring your vehicle to John’s with confidence and drive out truly satisfied. Our technicians take pride in their craftsmanship and have been carefully selected and trained to provide the highest quality of work and to offer versatile services and repairs. Their skills and our dedication to properly serving you is what has kept us in business for over forty years. 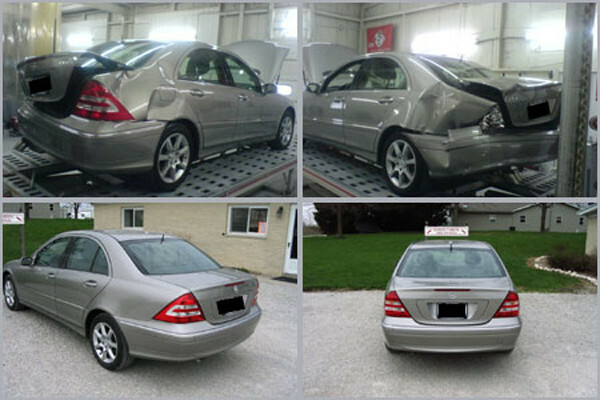 Find out why customers keep coming back to John’s and trust us with your next vehicle repair. The band of brothers (Harvey, Luther, and Ted) are once again together in their garage with Ted having been beautifully restored, looking new once again, thanks to the expert attention given him by all of you at John's Body Shop. He is so handsome again! It was great to work with a business that provides quality workmanship and showed integrity in dealing with us as customers on both occasions when we needed help. And all of you are so pleasant and friendly. Thanks for Ted's car wash and the goody bag we found on the dashboard, also. It will be my pleasure to recommend your body shop to my friends. My car is wonderful! Not only does it perform beautifully but the restored body is a work of art. It’s as if I just drove it off the show room floor. You should be very proud of a “job well done” and I feel fortunate to have been directed to you on that unlucky February day. I hope I’ll never need your services again but would highly recommend you to anyone. You are a true artist! After bringing the motorhome back to our house, I looked it over again. I am exceptionally pleased with the work you did and service you provided. The paint job was superb and the repairs were great. I also was pleased that you had the entire coach washed and windows were spotless. I have never been more pleased with the work I’ve had done. I would highly recommend you to anyone needing body work done. We thank you again for such an excellent job.